Kids Crafts—Summer is in full swing for most of you. Keeping the kids busy in the summer and keeping their screen time limited can be challenging. Whenever I need something quick and not too difficult, I usually head to Skip To my Lou's Craft Camp. The ideas she has from her guest posters are GREAT! 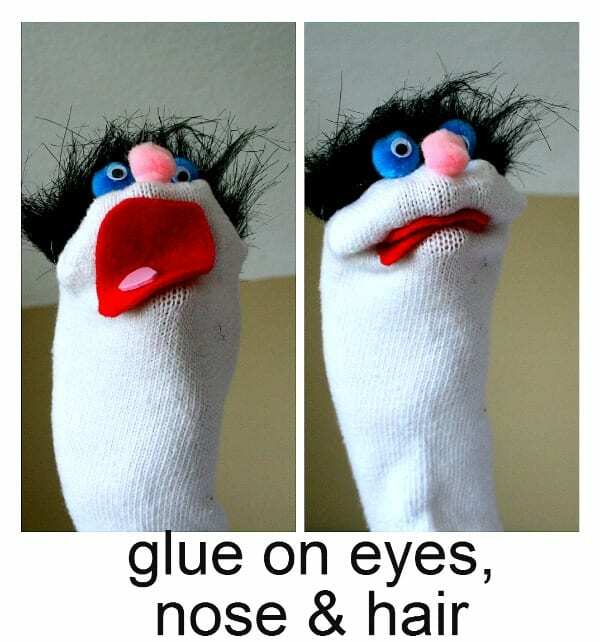 I was fortunate to be a guest poster, so I posted about how my son loves to make Sock Puppets. Seriously, this is so easy for all kids of all ages. The supply list is easy, the skill level is easy. A mom's best friend. It didn't take long for my son to start playing. Amy is brillant! What kid doesn't like to paint and what kid doesn't like to eat? Combine the two and you've got happy kids for at least 30 min. 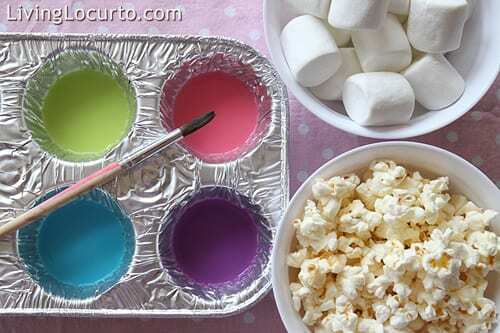 Amy combines food coloring with milk, sets out a few marshmallows, popcorn, some paint brushes and lets them eat themselves silly. I have been intrigued by Sun Prints for a long time. Again, with the right materials SO easy. Combine art with nature and it's going to be more than a craft. It's educational! But don't tell the kids that. What kinds of creative crafts do your children like? How do you keep your kids entertained during the summer months? Kim is the author of Today’s Creative Blog, where she features the best creative blogs out there. If you’re looking for inspiration or just looking for your next project, you’ll find it plus more on Today’s Creative Blog.